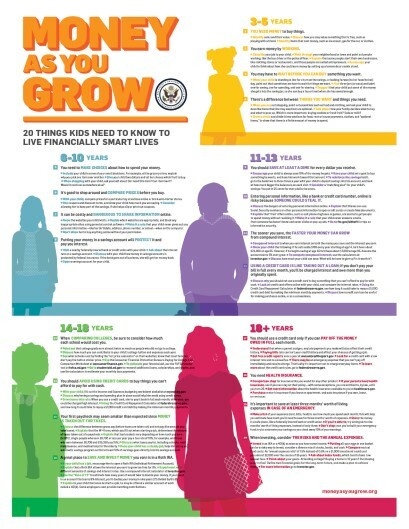 Money as You Grow has a new home with the Consumer Financial Protection Bureau (CFPB). 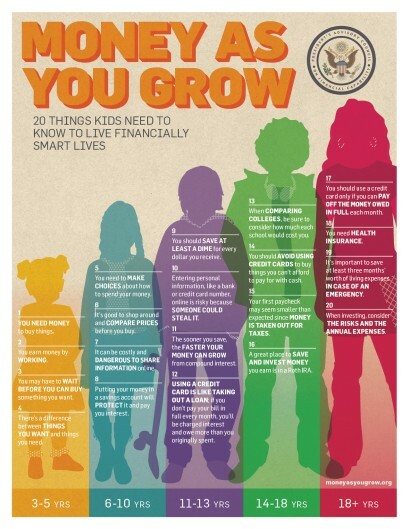 Money as You Grow was recommended as an initiative of the President's Advisory Council on Financial Capability. The content on this site does not represent official policies of the United States Government or the United States Department of Treasury. The information and materials provided in this website are general in nature and are not to be considered the rendering of legal, tax, accounting, financial, investment, insurance or other professional advice.